All-steel construction for durability and strength. Attractive styling that fits into any office environment – yet rugged enough for factory use. All set-up and ready to use – just remove the carton. Can be used individually or bolted together in groups. Built in padlock hasps for security. Full height piano hinges for years of use. 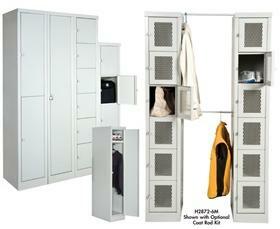 Single locker is furnished with 2 coat hooks and hat shelf. Doors are 18 ga., housing and top is 22 ga. and bottom is 20 ga. Light Gray in color. Visual Locker: Excellent locker when visibility, ventilation and security are important. 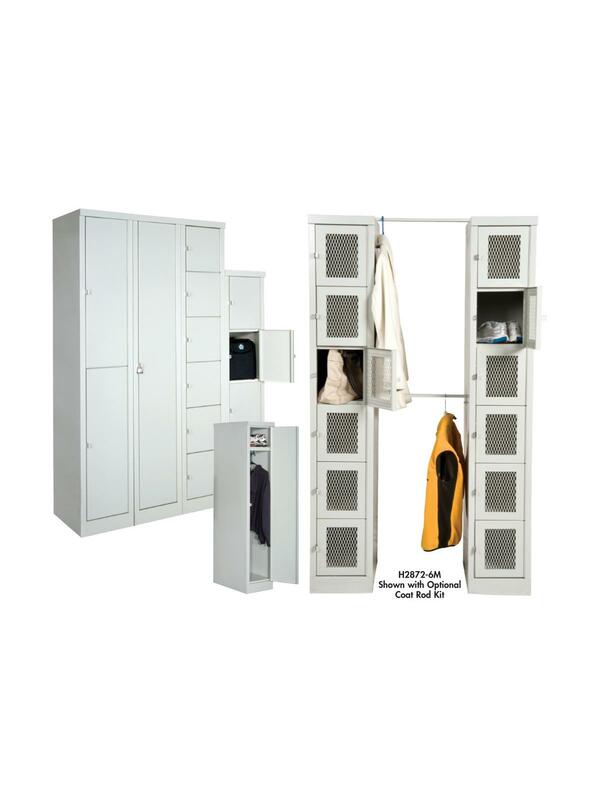 Same heavy duty construction as standard lockers with 16 gauge expanded metal door fronts. Light Gray in color. See Related Items tab for Set-Up Stylish Lockers - Coat Rod Kit. 12 x 18 x 11"12 18 11"
12 1/4 x 18 x 72"